By Kenneth Uehara in Photography. Updated on November 12, 2018 . Looking for exotic destinations in the world to fit into your travel plans this year? The world is a beautiful place and there are plenty of sites to see. But if you want to do things a little differently, how about visiting exotic temples found all across Asia? In this collection, I have gathered 30 of the most beautiful temples in the world for you to add to your list of must-see destinations for your next travel plans. No matter how stunning these photos look, the real place itself will surely leave you more awe-struck. These Asian temples are places of worship or meditation and have decades if not centuries of history built into the temple walls and grounds. What better way to reconnect with the past and gain a new appreciation of the present and future, by visiting these sites steep in history? 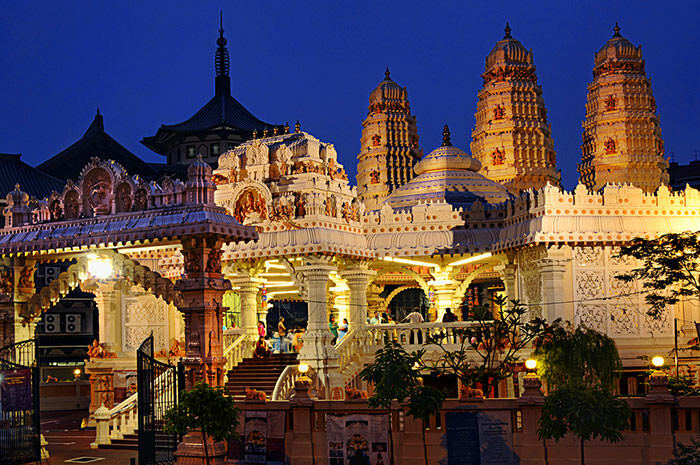 An important Hindu temple in Singapore where devotees pray and make daily offerings. The temple opened in 1850. Initially, it was located in Potong Pasir, but it was eventually moved to its present location in Geylang. 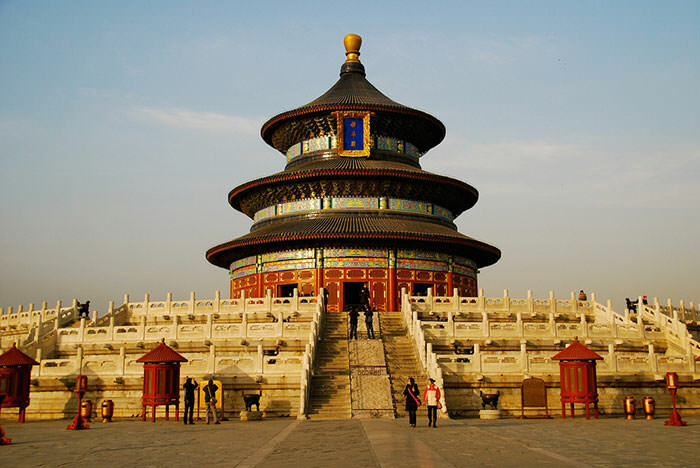 The Temple of Heaven, or Altar of Heaven, was built in the early 1400s. It was commonly visited by the emperors of the Ming and Qing dynasties in order to pray for good harvest twice a year. A vedic temple built by the kings who ruled in the 16th century, for Lord Vishnu. It is the richest Hindu temple in the world in terms of precious stones and gold according to the Guinness World Records. 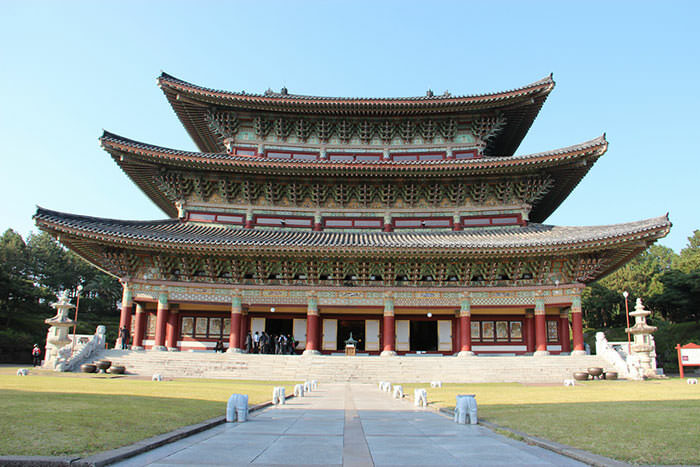 A Buddhist temple from the Joseon Dynasty. 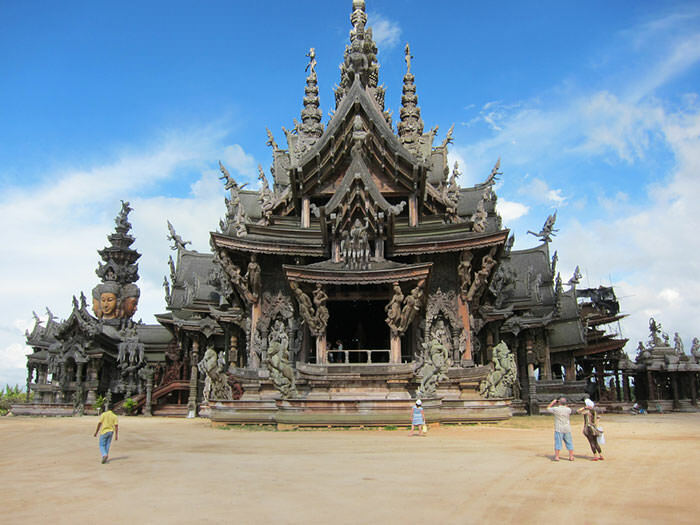 It is the biggest temple in east Asia with an area of 3,305 square meters. Yakcheonsa Temple has an 18-ton Buddhist temple bell and its walls are sculpted with large altar portraits of Buddha. An imperial Buddhist temple in Japan that is the headquarters of Hossō school of Japanese Buddhism. 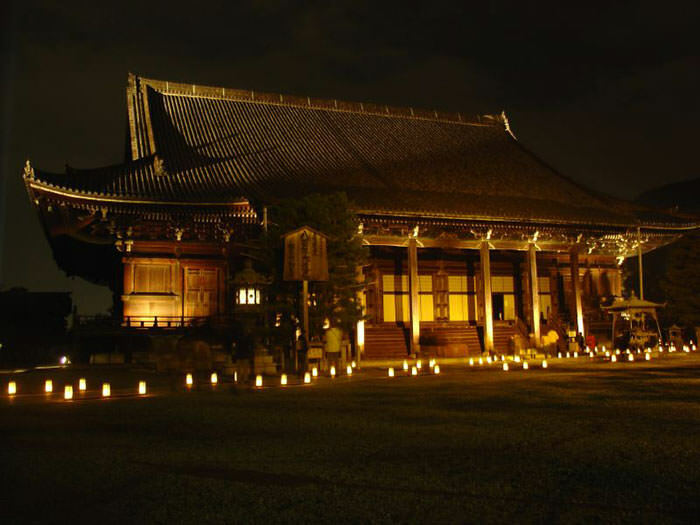 It is one of the Seven Great Temples in Nara, and also a UNESCO World Heritage Site. The temple’s name was derived from Yahushi Nyorai, which is “The Medicine Buddha”, one of the pioneer Buddhist deities that came from China in 680. 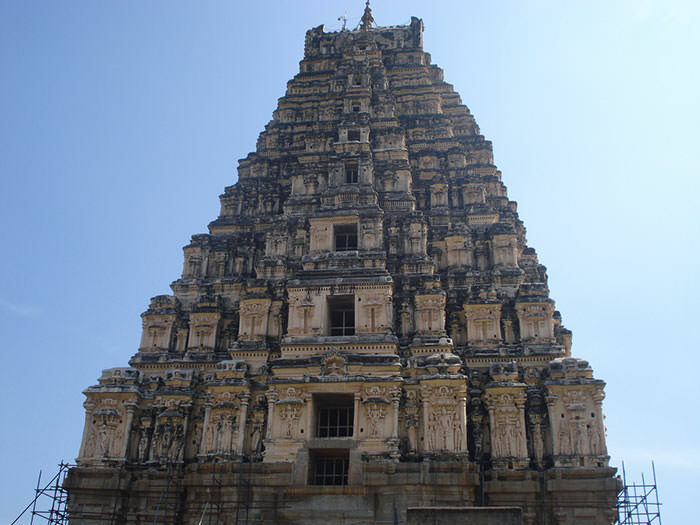 Virupaksha Temple is a temple built for Shiva located in Hampi, Bangalore. It is a designated UNESCO World Heritage Site. The temple was initially built to be a small shrine for Shiva, but was eventually developed into a large complex under the Vijayanagara rulers. Sactunary of Truth, also called Wang Boran, is built with only wood. Its tallest peak is at 105 meters high. Inside tourists can find a combination of sculptures and images from Buddhist and Hindu religions. Construction of the temple began in 1981 and is set to be completed by 2050. 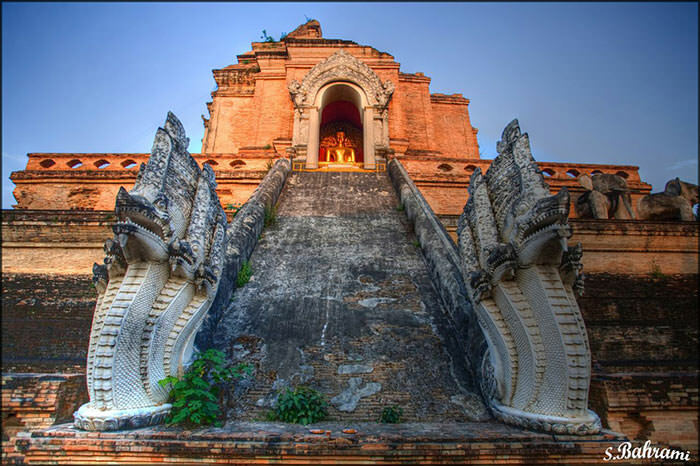 Wat Chaiwatthanaram is a Buddhist temple that is one of the major tourist attractions in Thailand. It was built in 1630 by king Prasat Thong as a symbol of his reign. The name of the temple literally translates to “the Temple of long reign and glorious era”. 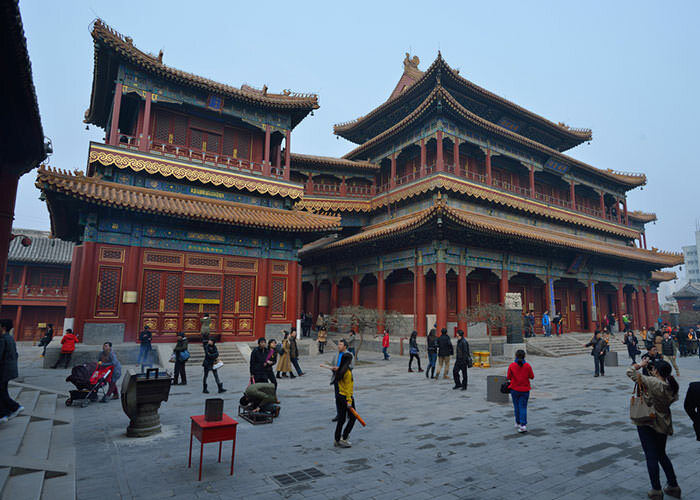 Lama Temple, also known as Yonghe Temple, is a temple and monastery for the Tibetan Buddhism school. Construction begain in 1694 during the Qing Dynasty. Initially, it was supposed to house for eunuchs serving the emperor, but it was converted into the court of Yin Zhen, son of Kangxi Emperor. Ultimately, it was opened to the public as a temple. Sri Senpaga Vinayagar Temple was built in the early 1850s for the Hindu god, Ganesha. It is located in Ceylon Road in Singapore. The temple has several facilities which include libraries, kitchens, halls, classrooms, and even a wedding hall. 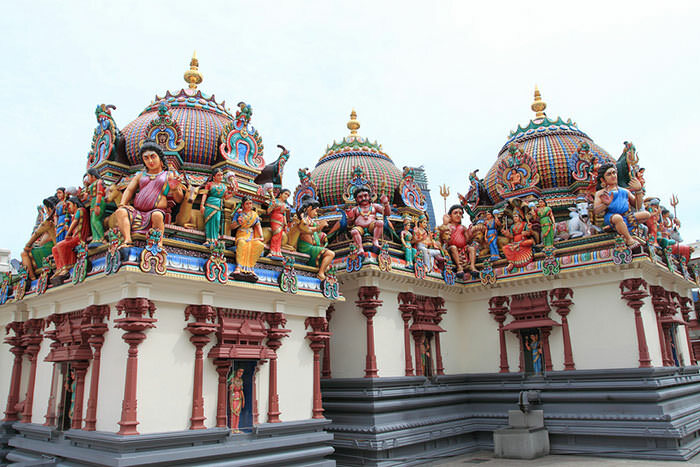 Sri Mariamman Temple is the oldest Hindu temple in Singapore built in Dravidian style. It was founded in 1827, eight years after the East India Company was established. 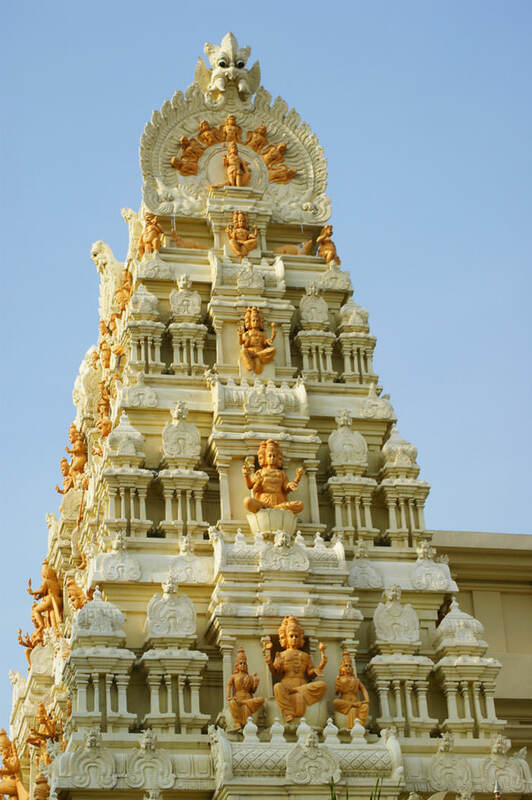 The temple is dedicated to Durga, Ganesh and Shiva. 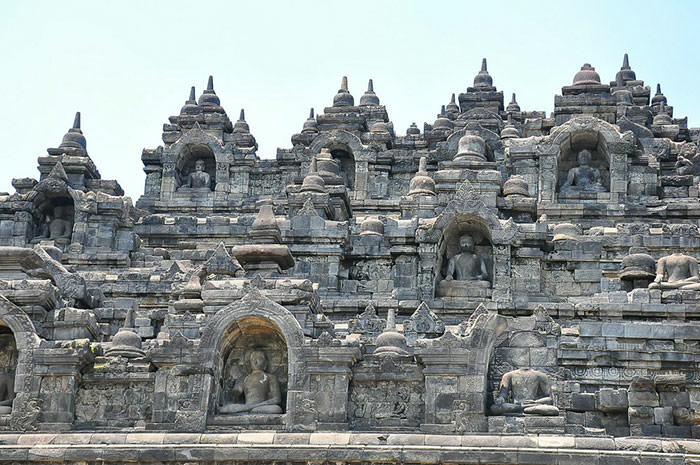 Borobudur, or Barabudur, is one of the oldest temples in the world. 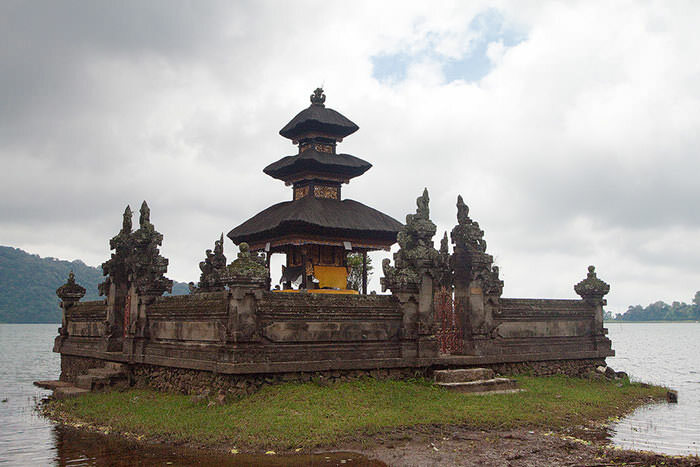 It was built in the 9th century by Javanese Buddhist architects. Its central dome has 72 Buddha statues with 2,672 relief panels and 504 Buddha statues around the premises. It is also the world’s largest Buddhist temple. Angkor Wat, or Capital Temple, is the largest temple complex in the world. Originally founded as a Hindu Temple, it was eventually converted to Buddhist temple by the 12th century. 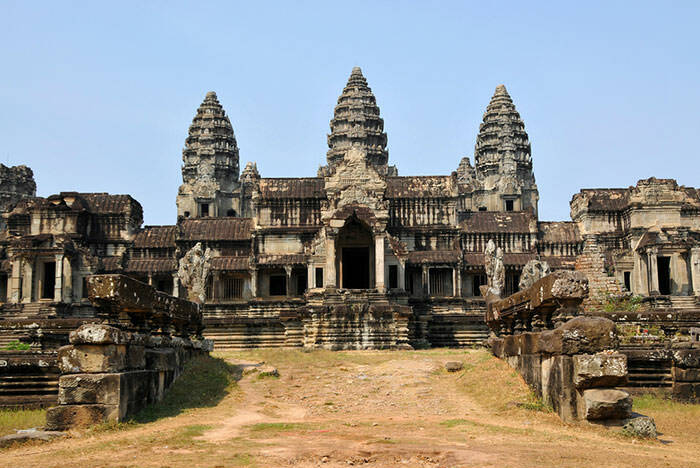 It is the top tourist destination in Cambodia, having historic and architecture significance globally. 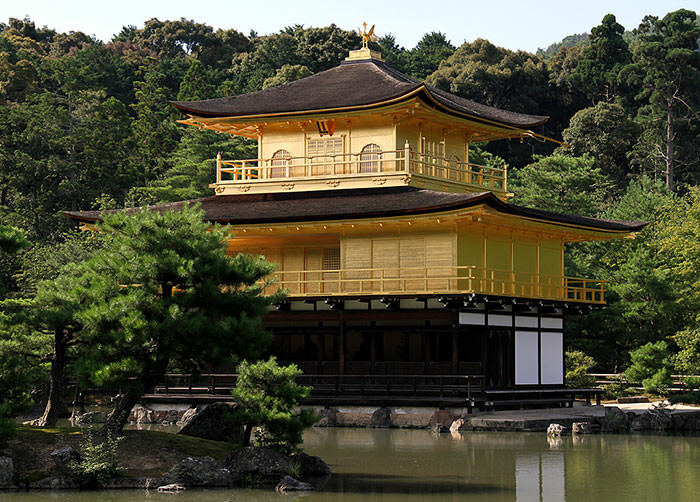 Kinkaku-ji, or Temple of the Golden Pavilion, is a National Special Historic Site in Japan and one of the most visited sites in the country. 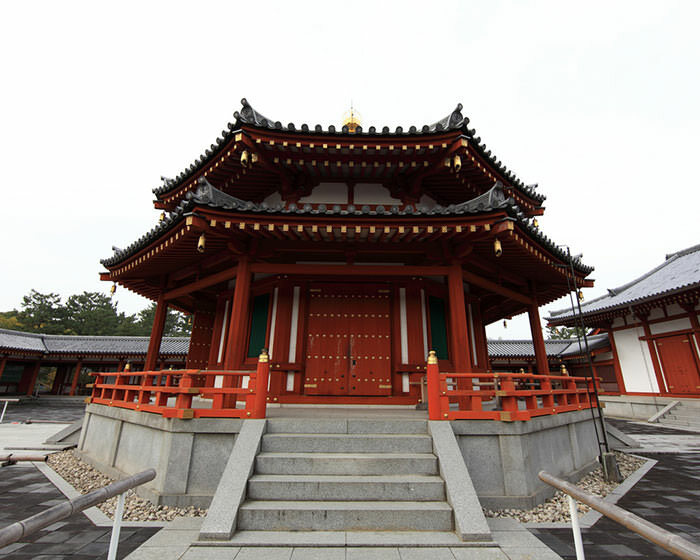 The temple was founded in 1397, but burned down during the Onin war in 1460s-1470s. After reconstruction, it burned down again on July 2, 1950 (a monk did it) and was rebuilt again in 1955 (and hasn’t burned down since). 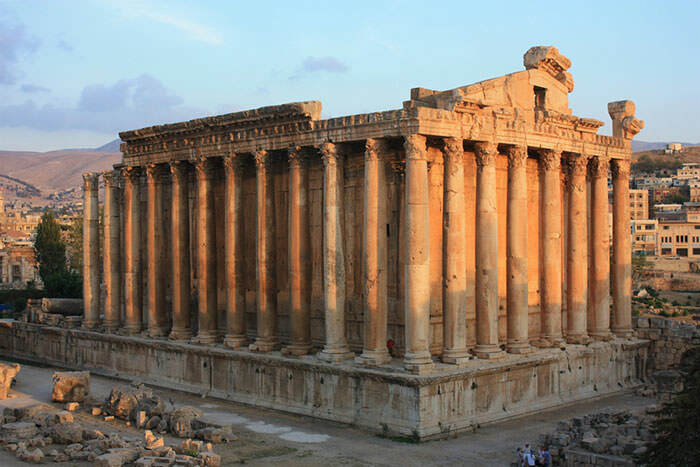 Temple of Bacchus, also known as Temple of the Sun, was built around 150 CE by the Romans for the wine god, Bacchus. It is one of the best preserved Roman temple in the world and is a World Heritage site. The construction of the temple was initiated by Roman Emperor Antoninus Pius, which lasted from 150 CE to 250 CE. 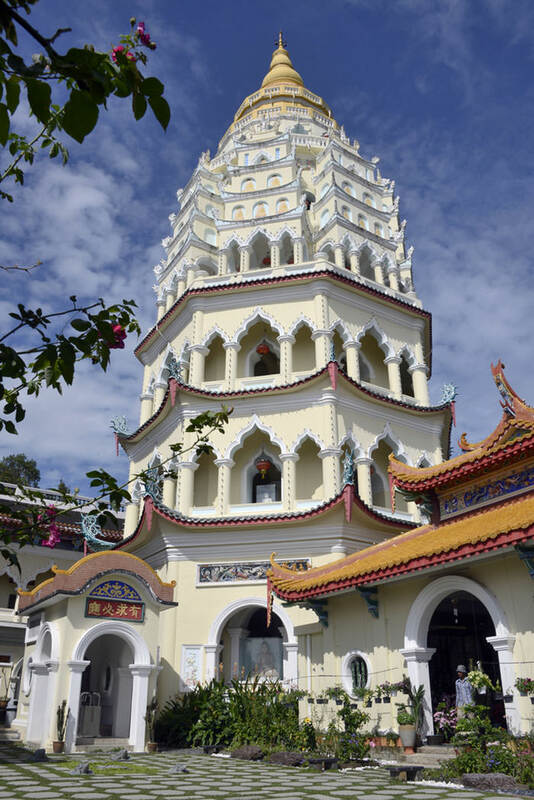 Kek Lok Si Temple, or Temple of Supreme Bliss, is one of the largest Buddhist temples in South East Asia, covering 10 acres of land. Inside the temple complex is a seven-storey pagoda with 10,000 alabaster and bronze statues of Buddha. It also has a bronze statue of the Goddess of Mercy, Kuan Yin, which stands at 99 feet tall (30.2 metres). 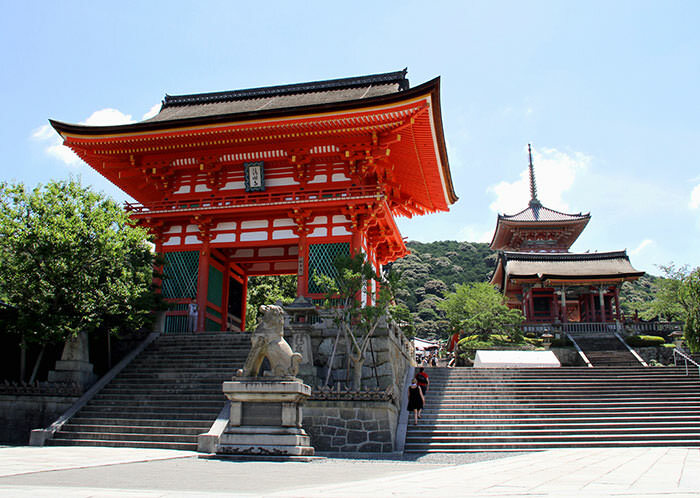 Kiyomizu-dera, which means “clear water”, was founded in the year 778. Additional buildings in the complex were constructed in 1633 by order of Tokugawa Iemitsu. It is located in Kyoto and is part of the 33-temple route pilgrimage in western Japan. 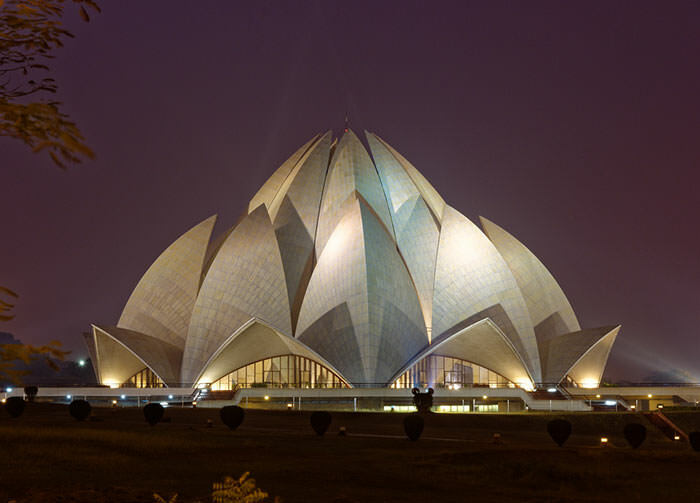 The Lotus Temple, a Baha’i House of Worship, is a flower-shaped temple that is one of the most prominent attractions in New Delhi, India. It has won numerous architectural awards. The temple can seat around 1300 people. Since its public inauguration in December of 1986, it has received over 70 million visitors from all over the world. Wat Bo Temple, located in Siem Reap Town, is one of the lesser known temples in Cambodia. 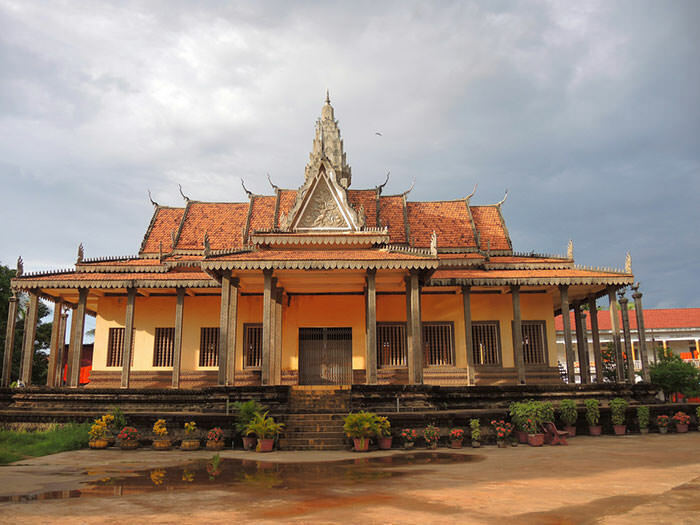 However, Wat Bo has one of the most beautiful pagodas in Siem Reap, and the interior has intricate paintings from the late 19th century depicting Chinese merchant and other foreign visitors. Pura Ulun Danu Bratan, or Pura Bratan, is a temple surrounded by water in Bali, Indonesia. It resides in the shores of Lake Bratan by Bedugul mountains. It was built in 1663 for the river and lake goddess Dewi Danu for irrigation. 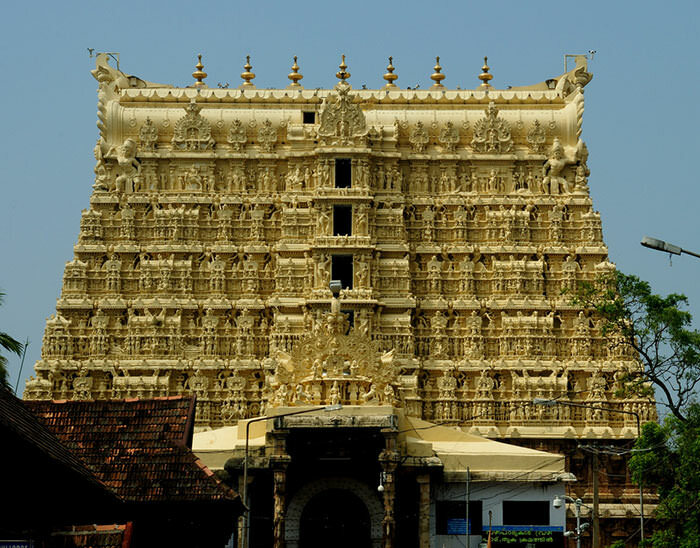 It has an eleven storey high temple built for Shiva and his lover Parvathi. Wat Chedi Luang, literally temple of the big stupa, is a Buddhist temple that was built during the 14th century as a burial place of King Saen Muang Ma’s father. 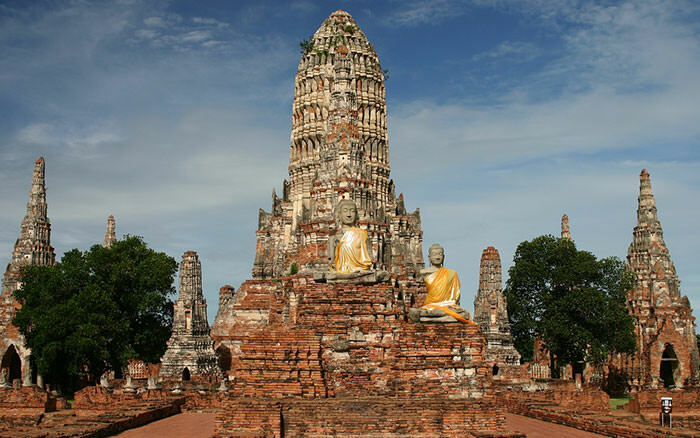 The grounds has three temples: Wat Chedi Luang, Wat Ho Tham and Wat Sukmin. 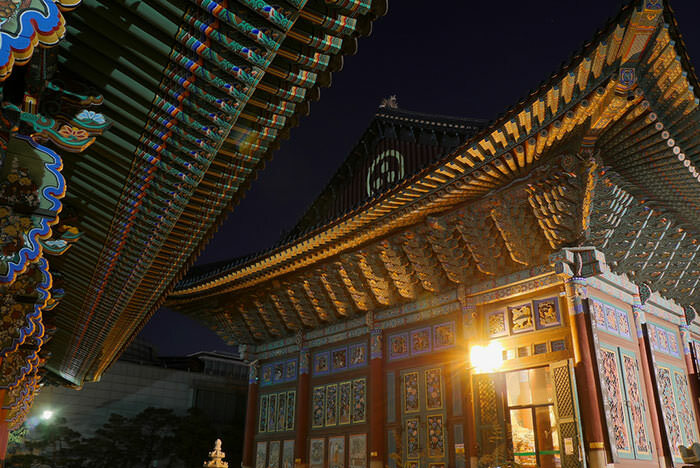 Jogyesa is a Korean Zen Buddhism temple located in the heart of Seoul. In the temple, tourists can find a Sakyamuni Buddha statue. The temple hosts a Lotus Lantern Festival every May, celebrating the birthday of Buddha. 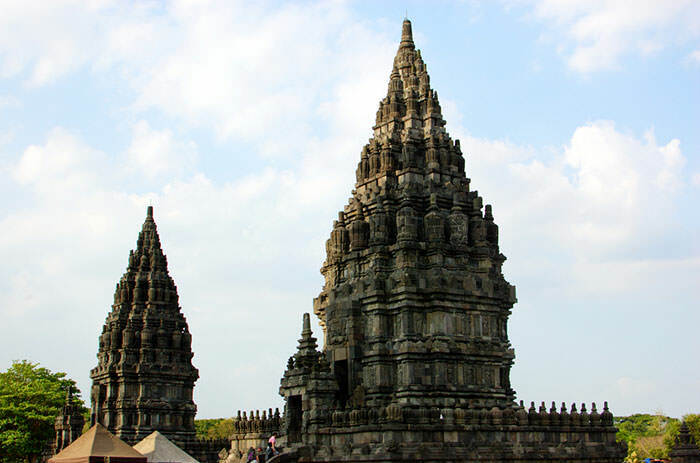 Prambanan temple, or Candi Rara Jonggrang, is a 9th century Hindu temple dedicated to Trimurti, the creator, preserver, and destroyer. The central architecture of this Hindu temple towers at 154 feet (47 metre) and is surrounded by individual temples. 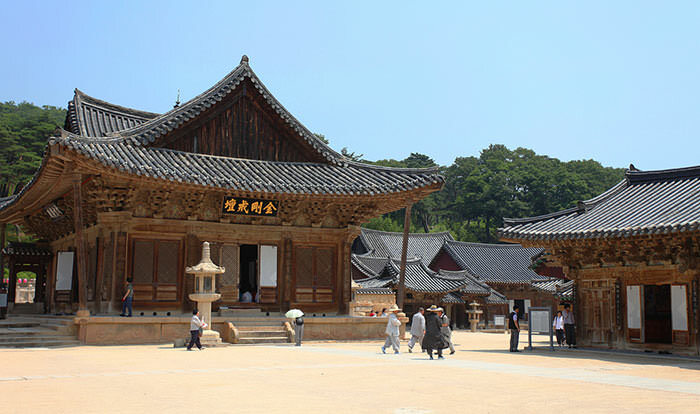 Tongdosa, meaning "salvation of the world through mastery of truth", is a temple that was founded by the monk Jajang in 646 CE during the reign of Queen Seondeok. Unlike most temples, Tongdosa is unique for not having any statues on its exterior. 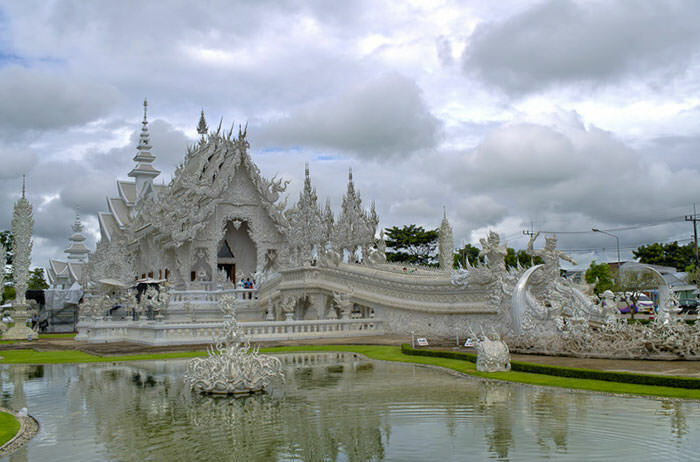 Wat Rong Khun, known as the White Temple outside of Thailand, is one of the most popular temples in the world. It is a privately owned temple that also serves as an art exhibit for Buddhists. The total cost for building the temple was THB40 million (1.1 million USD) and was privately funded. 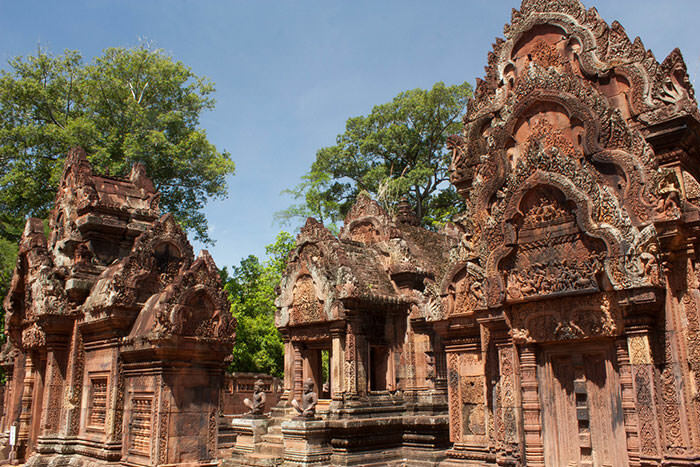 Banteay Srei, a temple in Angkor, Cambodia was built in the 10th century. It is presided by the Hindu god Shiva. The unique thing about this temple is the miniature size of the temples by other Angkorian standards. It has been dubbed by toursts as a “precious gem” and “jewel of Khmer art” due to its miniature scale. 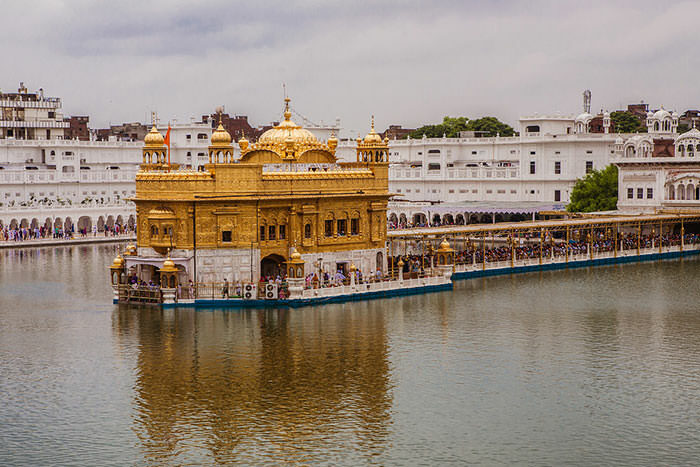 Harmandir Sahib, known as the Golden Temple, is a temple where Sikhs offer their prayers. It is built by a lake believed to be holy, where believers wash their feet during worship. Over 100,000 people visit the temple daily. It also has a community kitchen that serves free meal to the visitors. 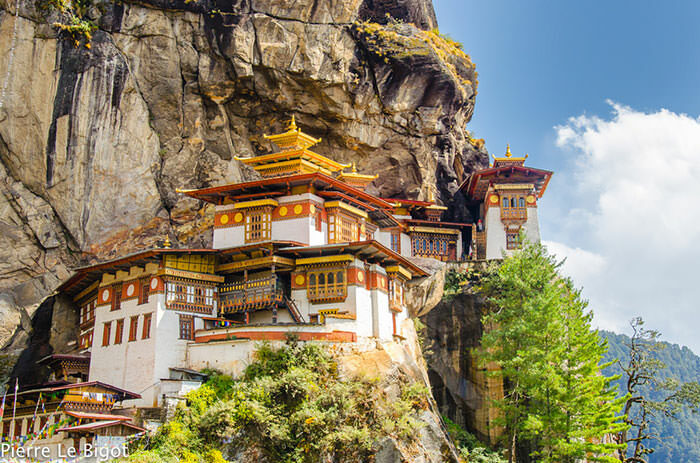 Takstang Monastery, also known as the Tiger’s Nest Monastery, is a Himalayan Buddhist temple that is located in a cliffside of Paro Valley in Bhutan. There are four main temples in the complex by the cliff, each situated on the ledges of the terrain. 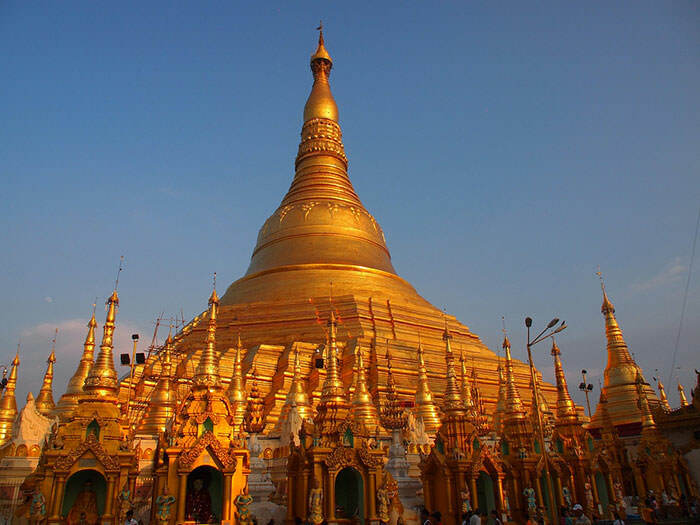 Shwedagon Pagoda, official name Shwedagon Zedi Daw which means Great Dagon Pagoda, is a gilded temple that stands 325 feet tall on Singuttara Hill. It was built during the 6th century by the Mon people. Its base is made of bricks coated in gold plates and it has 5,448 diamonds and 2,317 rubies along its exterior, making it one of the most stylized temples. Chion-in, a Buddhist temple in Higashiyama-ku, Kyoto, Japan, founded between 1133 to 1212. One popular feature is its nightingale floor, which alerts its residents when people are walking along the corridors. Metal rods underneath the floor boards rub against each other when pressure is applied. This helps detect intruders. Know of other beautiful temples that should be in a travel list? Share with us in the comments.